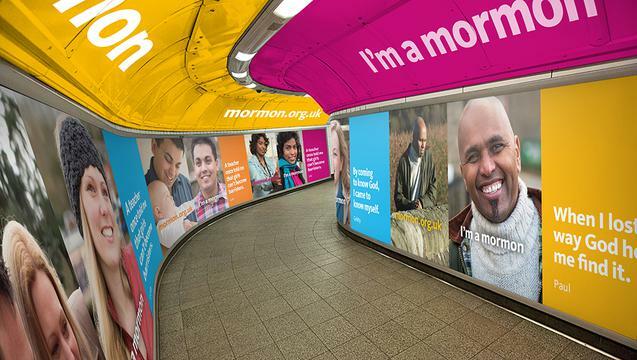 All of this advertising is unprecedented for a church with only 180,000 members in the whole country. 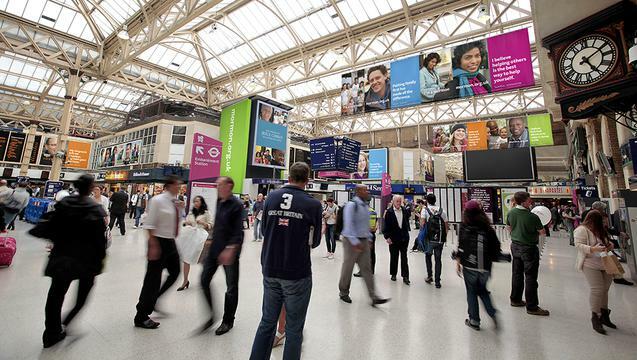 For example, some 1/4 million people will pass through Oxford Circus underground station every day and see these adverts. 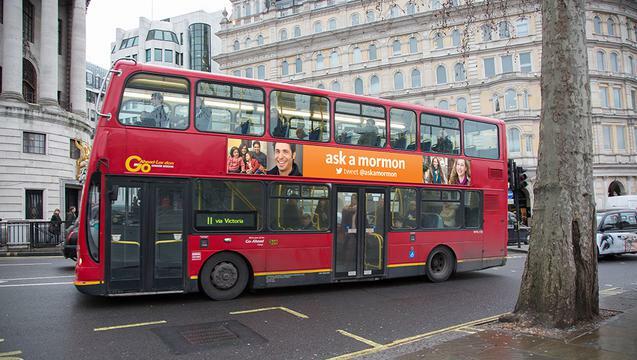 When the musical started its advertising in London last year, hits to church websites from the UK have increased by a factor of 10. In my own conversations, I've probably inadvertently persuaded a number of people to buy tickets. I should be on commission. 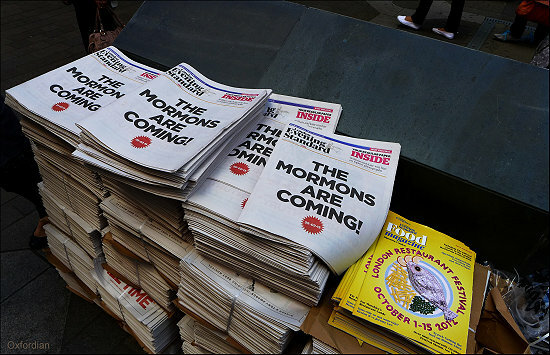 How effective the advertising the church undertaking will be remains to be seen. One fellow bishop said to me that we'll be shaking the hands of Matt Stone and Trey Parker for the rest of eternity. Indirectly, they've become the best missionaries the church could ever hope for as far making the country aware of us is concerned. Thanks guys. Where are my free tickets?